"That victory of the Democratic People’s Republic of Korea is a science is a definition formulated to define the country wining one victory after another in the past and the present, the legendary might of the DPRK becoming ever more powerful and raising higher even in the imperialists’ offensives. Science is an absolute logic that exists objectively. It is victory of the DPRK that is the same as a mathematical formula which has only one value, as the law of physical movement which follows only one route not otherwise in any. The only yardstick of science is reality. This can be proved by the events brought about in the DPRK in recent years. 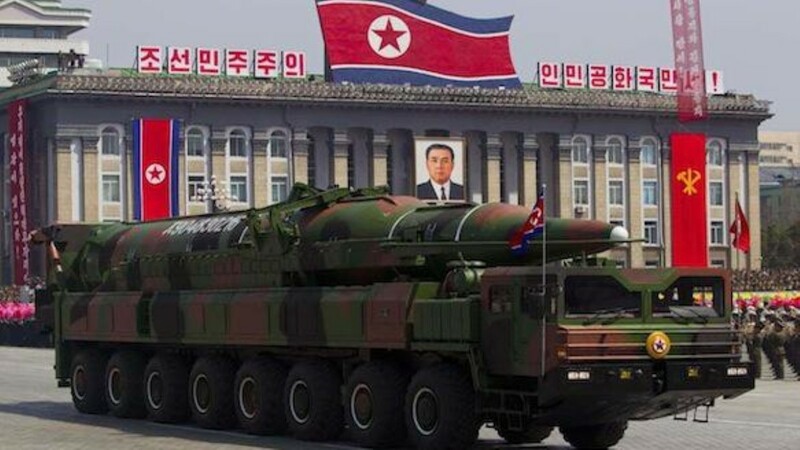 The maneuvers of the hostile forces who never want the DPRK to be rich and powerful reached the extreme level and an unexpected natural disaster brought the situation to a severe one. The manifold hardships and trials examined the faith and will of the army and people in the DPRK every moment and the imperialist reactionaries vociferated about the DPRK’s “crisis” and daydreamed of the Koreans’ frustration. Today Juche Korea led by Supreme Leader KIM JONG UN, an ever-victorious iron-willed brilliant commander, is winning victory after victory over the US imperialists despite the extreme sanctions that the US imperialists and their cohorts have imposed on the country"
From the introduction to "Victory of Juche Korea Is A Science "
The Association For the Study of Songun Politics UK , Juche Idea Study Group of England , UK Korean Friendship Association and the British Solidarity Committee for Peace and Reunification on the Korean Peninsula issued the following press release today concerning the publication of the book "Victory of Juche Korea is a Science " by Dermot Hudson. The book "Victory of Juche Korea is a science " is published today to mark the 70th anniversary of the foundation of the Democratic People's Republic of Korea . The 70th anniversary of the foundation of the DPRK is a great landmark , a great milestone in the history of Juche-orientated socialism and the Korean people's struggle for independence . 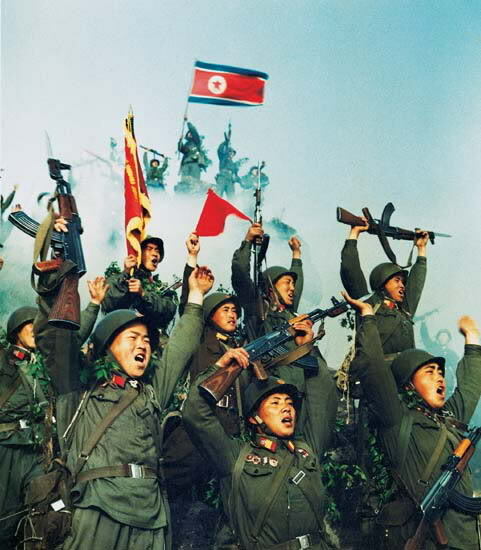 The DPRK has won victory after victory and emerged victorious in the struggle against imperialism. 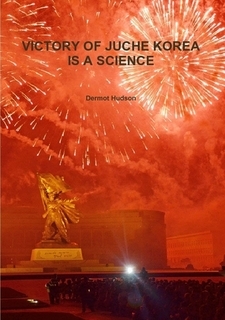 This book, ",Victory of Juche Korea Is a Science "has been written by Dr Dermot Hudson ,the chairman of the Juche Idea Study Group of England ,President of the Association for the Study of Songun Politics UK and Chairman of UK KFA ,in co-operation with Professor Kim Chang Gyong and the staff of the Korean Association of Social Scientists . The book is divided into 6 chapters. It examines how the DPRK is victorious in all fields such as military, politics, ideology ,culture and other fields It also looks at the fundamental factors in achieving these victories .It concludes that "As it is guided by the most revolutionary and scientific great Juche idea and advances under the banner of Juche, victory of the DPRK is a science, and the DPRK will be ever-victorious with Juche." We hope that the publication of this book ,along with the previous books of Dr Dermot Hudson such as "In Defence of Juche Korea " and "In Defence of Songun " will make a great contribution to understanding the DPRK and its role and understanding the Juche idea , the basic factor propelling the DPRK towards final and total victory . On September the 9th in just over one week's time the Democratic People's Republic of Korea (DPRK) will pass a great milestone on the road of history namely it will be 70 years since it was founded by the great leader comrade KIM IL SUNG . DPRK the Korean people took power in their own hands. The DPRK inherited the proud traditions of the anti-Japanese revolutionary armed struggle led by the great leader President KIM IL SUNG.Indeed the anti-Japanese revolutionary armed struggle is the root of the DPRK. great generalissimo KIM JONG IL said "Our Republic is an independent socialist State that absolutely maintains its Juche character and thoroughly preserves its national identity in its development and activities. Indeed the DPRK is known by friend and foe as the most independent state in the world. In our country all the people exercise their full rights to independence through their active participation in the political life of the state. They are adding lustre to their worthwhile lives through their creative struggle to achieve the high aim set by the Party, helping and leading each other forward, closely united on the basis of revolutionary constancy and comradeship. All the material and cultural needs, such as food, clothing, and housing, are met by the state, which also provides them with secure jobs according to their abilities. They are leading equally happy lives, receiving the benefits of free education, free medical care and so on from the state and soci­ety. 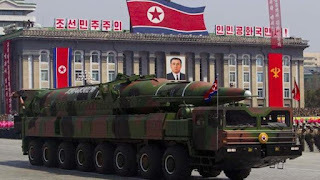 Today the DPRK has strong military power and is able to negotiate on equal terms with any country . Under the leadership of dear respected Marshal KIM JONG UN the DPRK is surging ahead along the great road of self-reliance and self-development under the red banner of KIMILSUNGISM-KIMJONGILISM !
" Our Republic, which has developed under the banner of the Juche idea, is demonstrating its pride in being a people-centered socialist country that fully embodies class and revolutionary principles, and at the same time, a socialist State, independent, self-supporting in the economy and self-reliant in defence, strong in the Juche character and national identity, and the genuine motherland of the whole nation. Our Juche-oriented socialist motherland has stood firm amid the worldwide great political cataclysms, and will win victory after victory by following the road of development, the road of Juche, as ever"
On September the 9th 1948 , a new country , a new state of Juche proclaimed its existence , the Democratic People's Republic of Korea (DPRK ) founded and led by the great leader comrade KIM IL SUNG , the hero of the anti-Japanese war and liberator of the Korean nation . The DPRK was and is the creation of the Korean people , the proud fruit that had grown and ripened on the tree of Juche. Cheers of Manse ,Manse ! echoed up and down the land of the Morning Calm from Mt Paektu in the north to Mt Halla in the south , to greet the foundation of the new state which represented the interests and aspirations of the entire Korean people both north and south . For centuries the Korean people had endured the dark and oppressive rule of feudalism.The Korean farmers worked hard day and night but the fruits of their labour were stolen by greedy parasitic feudal landlords. Worse still thanks to the flunkeyism of the incompetent and corrupt feudal rulers , . Korea became a colony of Japan in 1910 and the Korean people suffered the worst ever oppression under the darkest and barbaric rule of Japanese imperialism. It is worth remembering that imperialist Japan was an axis power, an ally of Nazi Germany and fascist Italy.After liberation in 1945 people's committees were set up and important democratic reforms such as a thoroughgoing land reform which gave land to the hard-working , toil-hardened , honest farmers free of charge. It became the demand of the times to found a Democratic People's Republic to represent the aspirations of the Korean people and build socialism. The DPRK did not copy other models but ploughed ahead along the path of Juche , the path of independence defying all those who either wanted to crush the new state or to impose their will on it. The very name Democratic People's Republic itself showed the independence of Juche Korea. Some had insisted on the title of "People's Republic " and others "Democratic Republic " but the great leader comrade KIM IL SUNG said that the new country should be called the Democratic People#s Republic .Some crazy factionalists tried to insist that the new Korea should be a republic of the USSR but comrade KIM IL SUNG swept this nonsense aside .The DPRK resolved to be independent and voted for both US and Soviet troops to be withdrawn from Korea . So in 1948 the Soviet troops withdrew but the US troops in south Korea have stayed in south Korea to this very day. The US troops have been in south Korea 73 years now which is 73 years too long ! President KIM IL SUNG made sure that independence , independence and independence was the creed and motto of the new Juche Korea . Independent and original policies were pursued in all fields of activity .The DPRK transformed production relations according to its own Juche-based theories and worked out many original policies such as the Taean work system and the Chongsan-ri method . 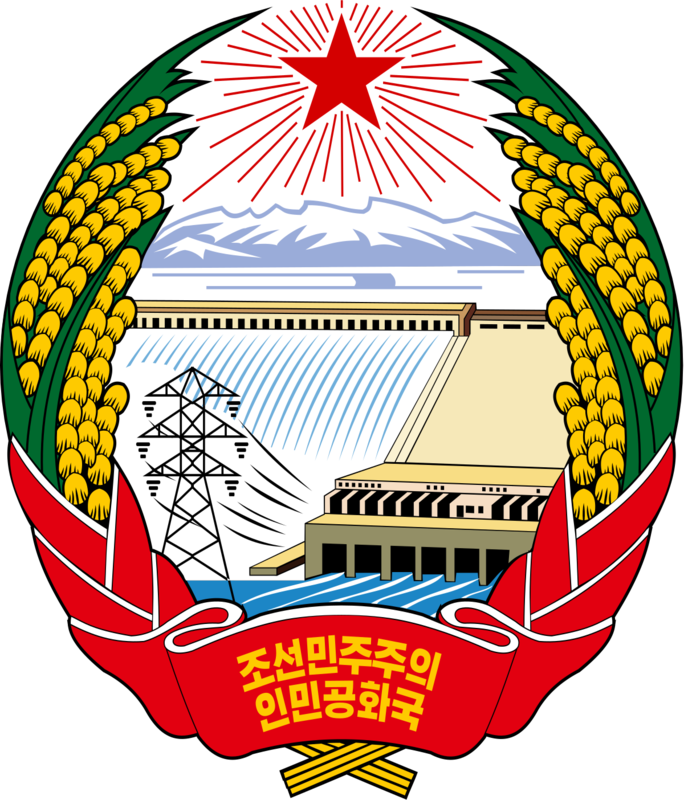 The DPRK rejected membership of the old Council For Mutual Economic Assistance (CMEA or COMECON as it is known in the West ), which had been set up by the old Soviet union , and membership of the Warsaw Pact .Not one soldier from another country is stationed on the land of the DPRK and no other country can control the DPRK's ICBMs. Respected Marshal KIM JONG UN pointed that ""Our socialism is an independent socialism strong in the Juche character and national identity. The Juche character is the nature of socialism, and independence in politics, self-sufficiency in the economy and self-reliance in national defence are the road to achieving the eternal victory and prosperity of our style of socialism. Independent politics makes it possible to formulate lines and policies in keeping with the fundamental principles of the revolution and the people’s demand for and interests in independence and consistently implement them however difficult and complicated the situation may be, so as to lead the revolution and construction to victory, and to exercise complete sovereignty and equal rights in the external relations so as to exalt the dignity and might of the country. The self-supporting national economy and Juche-oriented national culture enable us to break through the cutting edge and build a scientific and technological power, a knowledge-based economic power, in the 21st century by dint of our strength, technology and resources, and to usher in a new golden age of culture and the arts. 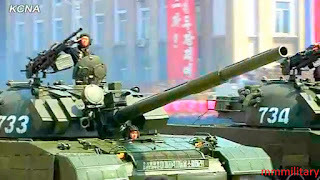 The self-reliant defence capabilities with the Korean People’s Army as the core reliably defend the socialist motherland from imperialist aggression, provide a definite military guarantee for the building of a thriving nation and ensure peace and security of the Korean peninsula and the rest of Asia." an Inter-Continental Ballistic Missile ! Combined with the idea of stouthearted independence based on the Juche idea authored by comrade KIM IL SUNG the DPRK also travelled the road of anti-imperialism . It defeated the US imperialists in the Fatherland Liberation War(Korean War ) inthe 1950s . In the showdown with the US after the Korean War , the DPRK upholding independence , anti-imperialism and Juche won victory after victory against the US such as the "Pueblo" affair 1968 , EC121 shoot down and many other instances . The DPRK faced down the US in the nuclear crisis . The DPRK throughout its existence always supported anti-imperialist struggles throughout the world giving internationalist assistance to the people's of Vietnam , the middle east , Cuba, Africa and many lands throughout the world. Thanks the inspired leadership of the great leader comrade KIM IL SUNG , the great leader comrade KIM JONG IL and the dear respected leader Marshal KIM JONG UN , the DPRK has travelled the road of Juche ,anti-imperialism and independence for 70 years ! 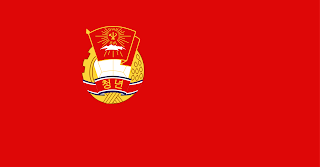 Glory to the Democratic People's Republic of Korea , land of Juche and anti-imperialism ! Long live the 70th anniversary of the foundation of the Democratic People's Republic of Korea ! ASSPUK,JISGE and UK KFA on the 2nd Anniversary of the publication of " Let Us Usher in a Golden Age of the Kimilsungist-Kimjongilist Youth Movement"
It is now two years since the dear respected leader Marshal KIM JONG UN made public the work " Let Us Usher in a Golden Age of the Kimilsungist-Kimjongilist Youth Movement" which clarified important tasks to be carried out in the field of youth work. Now youth work in People's Korea is surging ahead with revolutionary fervour ! 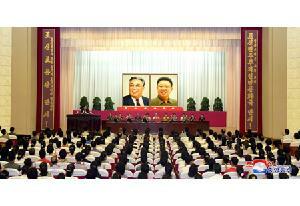 Respected Marshal KIM JONG UN put forward the laudable idea of turning the DRPK into a youth power . 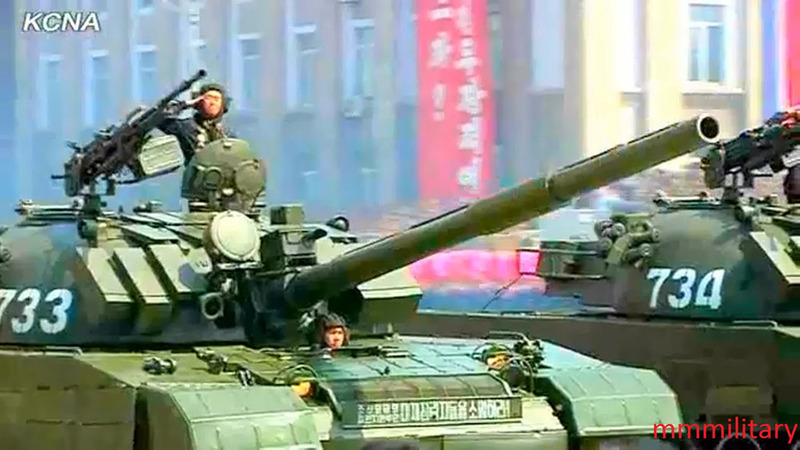 Essentially the DPRK have always regarded young people and the vanguard and shock brigade of the revolution . Marshal KIM JONG UN Has carried this idea to a new higher level.As youth are one of the three pillars that the Korean revolution , dear respected Marshal KIM JONG UN has turned his attention to turning the youth league into a militant Kimilsungist-Kimjongilist organisation that will make a pivotal contribution to modelling the whole of society on Kimilsungism-Kimjongilism.As dear respected Marshal KIM JONG UN says "If the youth league is to fulfil the sacred mission and duty it has assumed for the times and the revolution, it should model itself on Kimilsungism-Kimjongilism." This is indeed very true. Respected Marshal KIM JONG UN reviewed in the work the past achievements of the youth league which is so rich in history and puts forward key tasks for the youth league ,which has now been renamed the Kimilsungist-Kimjongilist Youth League to reflect the requirements of the times. Very correctly dear respected Marshal KIM JONG UN puts stress on the education of youth league members to turn them into ardent and loyal Kimilsungists-Kimjongilists.He elaborates in detail about this" They should also step up education of young people in Kim Jong Il's patriotism, revolutionary faith, anti-imperialist and class consciousness, and socialist morality, so that all of them become true patriots with ardent love for their country, hot-blooded fighters with indomitable revolutionary faith and unwavering anti-imperialist and class consciousness, staunch champions of the class struggle and cultured social beings with a high degree of cultural attainments and ennobling moral traits. "This constitutes a militant programme for turning the young people into militant revolutionary fighters against imperialism and all class enemies. In this work respected Marshal KIM JONG UN shows an acute awareness of the moves of the US imperialists and class enemies to corrupt and poison the minds of the youth through ideological and cultural infiltration.This was done in the USSR and Eastern European socialist countries.However thanks to the wisdom and perception of dear respected Marshal KIM JONG UN this cannot happen in People's Korea. Thanks to this work and the efforts of dear respected Marshal KIM JONG UN the DPRK has taken on the proud appearance of a youth power . This work puts the theory of the Juche-orientated revolutionary youth movement on to a new higher level. It should be studied by all! Pyongyang, August 29 (KCNA) -- Japanese King Akihito in his appearance at a "national memorial service for the war dead" on August 15 talked rubbish that he deeply repented of the past history and that he hoped war disaster would not repeat. Kim Hong Hwi, a researcher of the Institute for Japan Studies, in an article dedicated to Minju Joson Wednesday noted that lots of people have unanimously termed the "memorial service" a burlesque too far from what was expected. The despicable acts of the Japanese reactionaries seen on the anniversary of Japan's defeat were just the struggling of a militarist venomous serpent. Militarism led Japan to the abyss of defeat and is still leading its future to doom. There is only one way out for the Japanese reactionaries rushing headlong into the ruin, being intoxicated by the militarist toxin. The only way for Japan to co-exist with the international community and go toward the future is to depart with militarism at an early date and to retake humane appearance. The indictment explains how successive conservative cliques in south Korea have always blocked any moves towards reunification,Basically such conservative forces are not patriotic but in fact traitors to the Korean nation who oppose independent reunification and the achievement of the unity of Korean nation. It is very important to make these facts known because the mainstream media in the Western countries and so-called "academics " have spread false stories and theories blaming the DPRK for the division when in fact the DPRK has made hundreds of reunification proposals and has always been pro-active in promoting reunification. The indictment details how when each decisive landmark and breakthrough for reunification has occurred the reactionary conservative groups of south Korea have tried to undermine and subvert them . For example the fascist dictator Park Chung Hee after the July 4 joint statement in 1972 declared martial law and imprisoned anyone who supported peaceful reunification. When the historic June 15 joint declaration of 2000 was signed the die-hard reactionary conservatives tried to oppose and the subsequent October 4th declaration . Both the Lee Myung Bak and Park Geun Hye reactionary fascist conservative regimes carried out anti-reunification polices basically reversing what had been agreed with the DPRK by previous regimes in south Korea . All this goes to show that the south Korean conservative groups have committed grave crimes against the Korean nation and reunification as well as the crime of depending on outside forces such as the US. The south Korean conservative group is rubbish that should be cast into the dustbin of history as soon as possible ! Pyongyang, August 27 (KCNA) -- The Reunification Information Department of the Committee for the Peaceful Reunification of the Country of the DPRK issued an indictment Monday disclosing the traitorous crimes of the south Korean conservative forces who have blocked the national reconciliation and unity and reunification in wanton violation of the agreements common to the nation, agreements that have commanded full support by all the Koreans and the international community. The indictment said that the conservative group of traitors is the chieftain that blocked reunification as they reneged on the July 4 joint statement that was adopted and made public in early 1970s. It noted that the Park Chung-Hee military fascist junta and the coteries of the "Democratic Republican Party" of south Korea totally rejected the joint statement as their confrontation system was shaken to the very foundation with the mounting of the spirit for national unity and reunification nationwide occasioned by the publication of the July 4 joint statement. It pointed out that the Park Chung-Hee military fascist clique forged "yusin" dictatorial system after declaring "emergency martial law" in October, 1972 under the excuse of "supporting peaceful reunification". On June 23, the next year, they pushed into a total stalemate the phase for dialogue between the north and the south that was provided with much efforts, by making public the "special statement on diplomatic policy for peace and reunification" the core of which was making the permanent division of the Korean peninsula a policy, it charged. It said that the group of traitors challenged the June 15 joint declaration and the October 4 declaration. It noted that the publication of the June 15 joint declaration in June, 2000 opened up a new turning phase in improving the north-south relations and realizing the cause for national reunification and this ushered in the June 15 era, the new era of independent reunification, peace and prosperity in the history of the Korean nation. It charged that the group of conservatives made a far-fetched assertion that the joint declaration has to be abolished, saying that its implementation may lead to the "withdrawal of the U.S. forces" and "it is little short of making concession to the liberal democratic system and accepting the north's system of the Federal Republic of Koryo". By terming the dialogue, contacts and cooperation undertakings between the north and the south for implementing the June 15 joint declaration a "drain on resources", it put a brake on every try for the implementation, the indictment said. It noted that the traitorous and anti-reunification nature of the conservative group of traitors has been fully revealed in their acts of viciously slandering the Pyongyang summit between the top leaders of the north and the south and the October 4 declaration in October 2007 and blocking its implementation. It said that the conservative forces' confrontation frenzy to do away with the June 15 era of reunification and totally derail the north-south relations reached the zenith in the periods when traitors Lee Myung Bak and Park Geun Hye took power. It pointed out that the Lee Myung Bak group blocked one by one the north-south dialogue and cooperation after declaring "no nukes, opening and 3,000 dollars" as "north policy". In the wake of unilaterally suspending tour of Mt Kumgang, it fabricated the case of Cheonan warship sinking case and with that as a pretext took "May 24 measure", thereby fundamentally blocking all the cooperation projects between the north and the south, the indictment noted. The Park Geun Hye group of traitors worked out confrontation declarations like "confidence building process on the Korean peninsula" and "Dresden Declaration", openly revealing its ambition for confrontation between social systems, it stated. It said that the Park group totally shut down the Kaesong Industrial Zone, the product of the June 15 era and the last lifeline of the north-south ties, and severed all the channels of contacts and visits between the north and the south that had been barely maintained. It was an auspicious event to be specially recorded in the history of the movement for national reunification of the Korean nation that the north-south summit was held and the "Panmunjom Declaration for peace, prosperity and reunification of the Korean peninsula" was published in Panmunjom on April 27. But the conservative group of traitors that had categorically stood against the national reconciliation, unity and reunification rejected again the implementation of the Panmunjom Declaration. The coteries of the "Liberal Korea Party" slandered the Panmunjom Declaration as a "camouflaged peace show" and "declaration written by the north" following the north-south summit and the publication of the Panmunjom declaration. When the fourth north-south summit and talks were held all of a sudden on May 26, the group also went wild, saying that "south-north negotiations without the dismantlement of nuclear weapons is an enemy-benefiting act" and "it is a gesture to evade sanctions by the international community". September 9th will mark the 70th anniversary of the foundation of the Democratic Peoples Republic of Korea, the first truly sovereign state in Korean history. 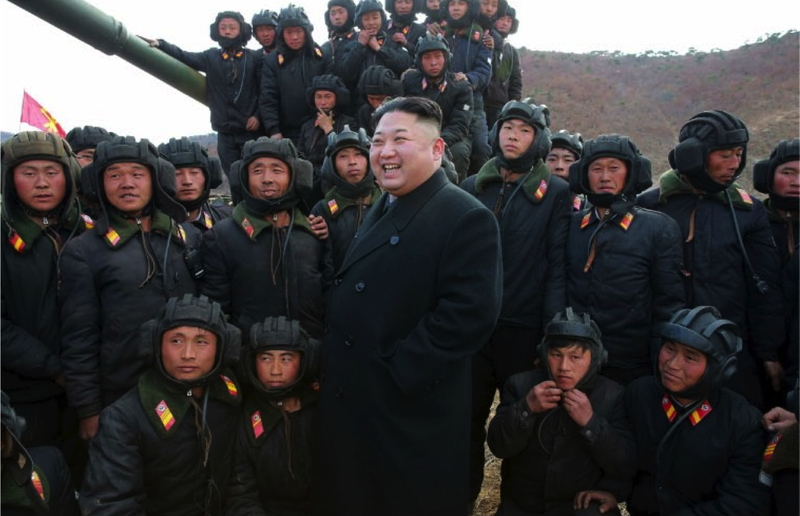 The DPRK is the great achievement of the Korean revolutionaries and people, who through bloody struggle made the solution of the question of state power by the popular masses possible. Kim IL Sung is rightfully considered to be the architect of the DPRK as the realization of the Korean people's aspirations for independence. The concept of the DPRK arose from the strategy of uniting the maximum number of people who opposed imperialism and feudalism. Examples of these precursors were found in the form of the Peoples Revolutionary Government which had been setup in the liberated zones of Manchuria and the Northern Areas of Korea during the Anti-Japanese armed struggle (1925-1945) and in the shape of the Association For The Restoration of The Fatherland in May 1936. 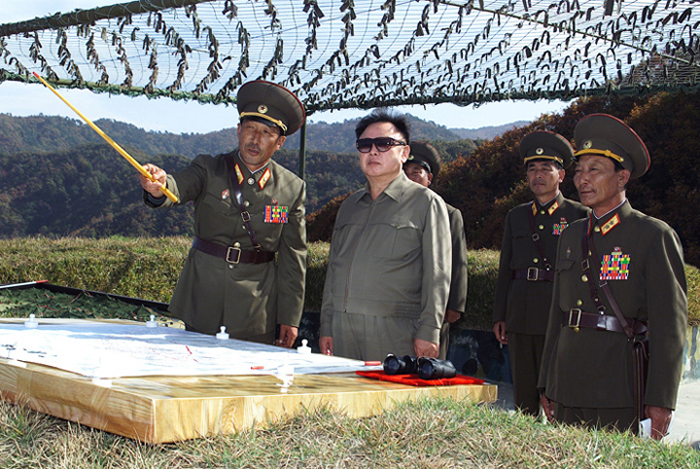 This revolutionary tradition of building a board front movement was continued after Korea's liberation in August 1945. The question was posed by some quarters that the New Korea should become either the Proletarian Soviet-style Republic or the Bourgoise Democratic type Republic? Kim IL Sung stated that Liberated Korea should be a Democratic Peoples Republic, which was more suited to the circumstances of the Korean Revolution. 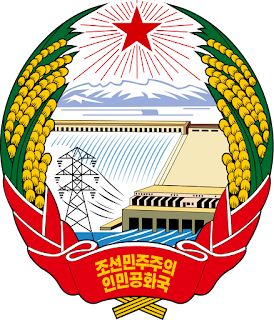 Elections for the power organs of the DPRK took place throughout the Korean peninsula on August 25th 1948. As a result of the North-South General Election, the first session of the Supreme Peoples Assembly was convened in Pyongyang on September 2nd, 1948. The SPA session was attended by 572 Deputies who had been voted in from constituencies in both north and south of Korea. Kim IL Sung was elected the Premier of the Cabinet (The Head of State) and the Great Leader Kim IL Sung proclaimed to the world the establishment of the Democratic Peoples Republic of Korea on September 9th, 1948. Since its foundation, the DPRK has turned into a strong socialist state, in which everything serves the people. 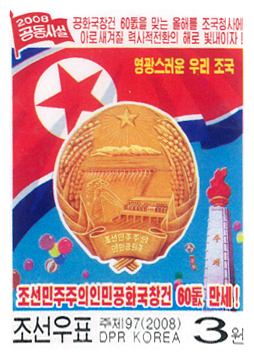 The Supreme Peoples Assembly is the highest organ of state power in the DPRK. There are Peoples Assemblies on the Province, County and City level. The SPA is composed of Deputies elected on the principle of universal suffrage. Deputies to the state organs can be recalled at any time if they lose the confidence of the electorate. In the SPA, Deputies from the Working Class and Peasantry comprise the majority of the parliamentarians and half of the SPA Deputies are women. 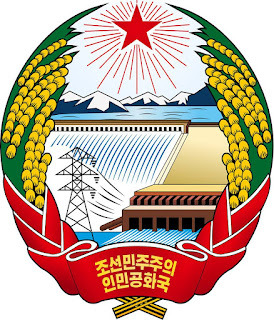 In the DPRK there are three political parties such as the Workers' Party of Korea, the Social-Democratic Party and the Chondoist Chongu Party, and public organisations such as the Kimilsungist-Kimjongilist Youth League and the General Federation of Trade Unions have a say in governmental affairs. Politics in the DPRK are not corrupted by the special interests of plutocratic elites but are an ultimate example of genuine democracy in action. In a space of seventy years, the DPRK has gained centuries' worth of accomplishments, to become an advanced industrial-agricultural state. The political and social system of the DPRK guarantees the right to employment, the right to free social housing, the right to health care, the right to education (from primary to university level), no taxation of any kind, and the right to subsidized food and transport. In many ways, the greatest achievement by the DPRK is to have made the Korean people a totally self-determining nation, in other words, the right to be Korean. Kim Jong Un was elected the Chairman of the State Affairs Commission of the DPRK on June 29th, 2016, reflecting the acknowledgement of the DPRK's Supreme Leader's statesmanship. Chairman Kim Jong Un ensured that the DPRK is advancing towards the objective of becoming a Thriving Socialist Nation, where the material and technological conditions are of the highest quality. On the international arena, the DPRK due to Kim Jong Un's leadership has emerged as being a dignified and respected World Power. The historical question of Korean reunification is now in the process of resolution, which has been accelerated by the deep concern of the DPRK Government. Let all progressive people around the globe celebrate and commemorate all the successes completed by Democratic Korea, which has overcome all manner of difficulties and obstacles. 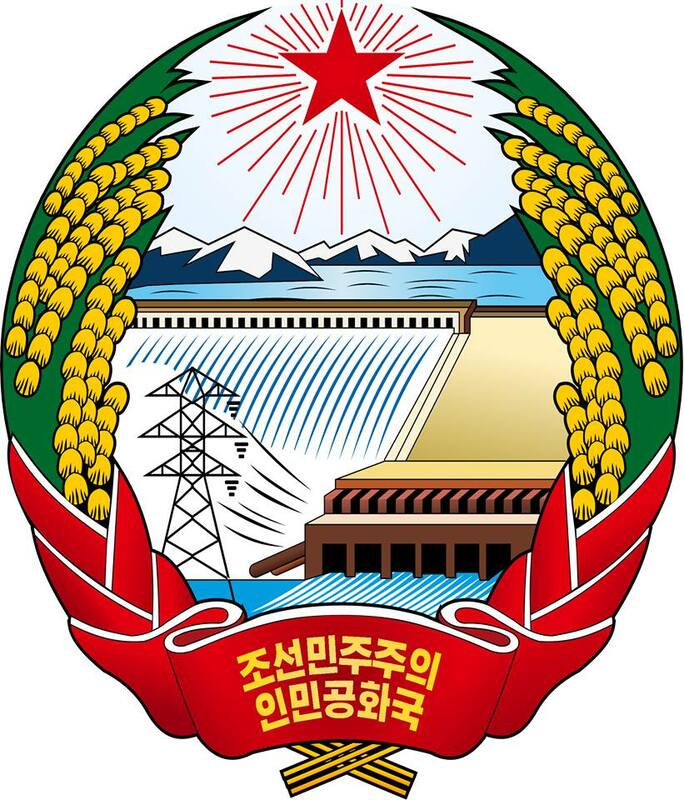 The Democratic Peoples Republic of Korea can be seen as the crowning glory of International Socialism. Along the Red Road of Juche and Songun, there will be even more radiant victories for the courageous people of the DPRK!!! Tomoyuki Sugimoto, who visited the DPRK as a Japanese tourist recently, was kept under control by a relevant institution to be inquired into his crime against the law of the DPRK. 90 years on the 25th of August the great leader comrade KIM IL SUNG founded the Anti-Japanese Trade Union in Jilin . This was a revolutionary trade union that rejected reformism and class collaboration. It was based on the Juche idea and was part of the anti-Japanese struggle. 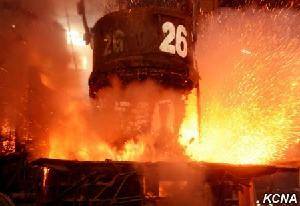 It aroused workers to the struggle to implement the Juche-based revolutionary line. After liberation the Anti-Japanese Trade Union became the General Federation of Trade Unions of Korea . The General Federation of Trade Unions of Korea is a revolutionary political organization of the working masses. . It conducts ideological education to ensure its members fully understand the Juche idea and gets them to take part in socialist construction and the management of the socialist economy with the attitude befitting masters. It has its organizations in different branches of industry. KIM IL SUNG , KIM JONG IL working class of the DPRK . Greetings to all Songun idea followers on the Day of Songun , the 58th anniversary of the start of the Songun revolutionary leadership ! 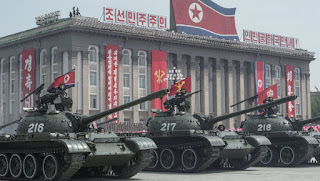 It was on this day , the 25th of August , 58 years ago that the great leader comrade KIM JONG IL set out on the road of Songun revolutionary leadership by visiting the historic Seoul Ryu Kyong Su no 105 tank division of the Korean People's Army. 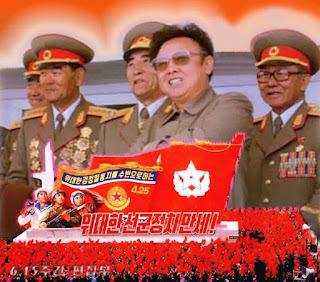 Thank to the Songun revolutionary leadership the DPRK has been turned into an invincible socialist military power of Juche ! Today the Songun revolutionary leadership is carried forward by respected Marshal KIM JONG UN the great successor to the cause of Songun ! Long live Songun politics ! Long live the Songun revolutionary leadership ! Pyongyang, August 24 (KCNA) -- President Kim Il Sung formed the Anti-Japanese Trade Union in Jilin on Aug. 25, Juche 17 (1928). The organization was the first revolutionary mass one of the Korean working class whose guiding principle was the Juche idea and which educated broad segments of workers and vigorously aroused them to the struggle to implement the Juche-based revolutionary line. The President founded the trade union, a unified mass organization of the working class, after the liberation of the country on the basis of the precious tradition of the construction of mass organization created in the flames of the anti-Japanese revolution and thus united the working class as a force. With his rare ideological and theoretical wisdom and energetic leadership leader Kim Jong Il defended the idea and leadership exploits of the President for the construction of mass organization and brought about a great heyday of the construction of trade union and its activities. The respected Supreme Leader Kim Jong Un has led the trade union, which developed under the guidance of Kim Il Sung and Kim Jong Il, to take the lead in the great advance to invariably preserve the revolutionary nature and bring earlier the final victory of revolution. Kim Jong Un awarded a precious title of heroic Kim Il Sung-Kim Jong Il working class to the Korean working class. Greetings on Liberation Day ! A REVIEW BY JOHN MARCHANT OF "THE SUN TYRANT"